How rich will you be? Need some motivation? This article provides a list of the 100 richest black celebrities. Actors like Will Smith and Samuel L. Jackson have worked hard for years and their net worths keep increasing. Diddy and Jay Z are constantly battling for the number 1 spot on the Forbes Hip Hop Cash Kings list. Don’t give up on that degree! Data from the US Federal Reserve shows that people with college degrees have a median net worth more than four times that of people without. Minorities showed the greatest gains in wealth since 2013. Each person on this list has one thing in common: They are all hard workers. A dream doesn’t become reality through magic. It takes sweat, determination and hard work. 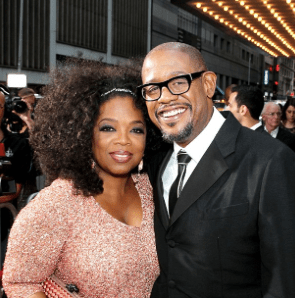 Without further ado, check out the 100 richest black celebrities. 1. Oprah Winfrey is worth $3 billion. 2. Michael Jordan is worth $1.31 billion. 3. Sean “Diddy” Combs is worth $820 million. 4. Shawn “Jay Z” Carter” is worth $810 million. 5. Dr. Dre is worth $740 million. 6. Tiger Woods is worth $740 million. 7. Magic Johnson is worth $600 million. 8. Tyler Perry is worth $600 million. 9. Floyd Mayweather is worth $565 million. 10. Singer, Mariah Carey is worth $520 million. 11. LeBron James is worth $400 million. 12. Bill Cosby is worth $400 million. 13. Beyonce’s net worth is $350 million. 14. Berry Gordy is worth $345 million. 15. Kobe Bryant is worth $350 million. 16. Shaquille O’Neal is worth $350 million. 17. Byron Allen is worth $325 million. 18. Russell Simmons is worth $325 million. 19. Will Smith’s net worth is $260 million. 20. Master P is worth $250 million. 21. Rihanna is worth $230 million. 22. Samuel L. Jackson’s net worth is $200 million. 22. Actor, Denzel Washington is worth $200 million. 23. Usher is worth $180 million. 24. Janet Jackson is worth $175 million. 25. Serena Williams is worth $170 million. 26. Kanye West is worth $160 million. 27. Rapper, Lil Wayne is worth $150 million. 28. Pharrell Williams is worth $150 million. 29. Actor, Morgan Freeman is worth $150 million. 30. Kevin Durant is worth $150 million. 31. Snoop Dogg is worth $143 million. 32. Steve Harvey is worth $140 million. 33. Ice Cube is worth $140 million. 34. Kevin Hart is worth $120 million. 35. Dwyane Wade is worth $115 million. 36. Derrick Rose’s net worth is $115 million. 37. Martin Lawrence’s net worth is $110 million. 38. 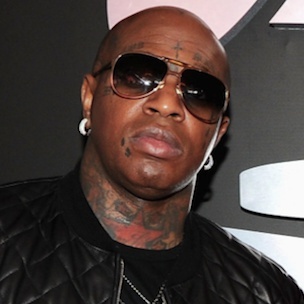 Brian “Birdman” Williams is worth $110 million. 39. Chris Rock’s net worth is $100 million. 40. Dwight Howard’s net worth is $100 million. 41. Chris Paul is worth $95 million. 42. Rapper, Drake is worth $90 million. 43. Carmelo Anthony is worth $90 million. 44. Jamie Foxx is worth $85 million. 45. Timbaland is worth $85 million. 46. Halle Berry is worth $80 million. 47. Akon is worth $80 million. 48. James Harden is worth $80 million. 49. LL Cool J is worth $80 million. 50. 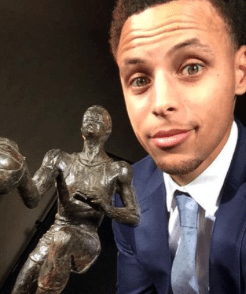 Stephen Curry is worth $77 million. 51. Will.i.am is worth $75 million. 52. 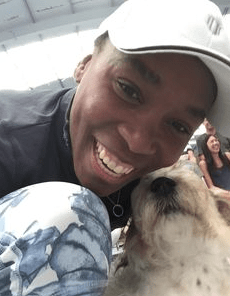 Venus Williams is worth $75 million. 53. 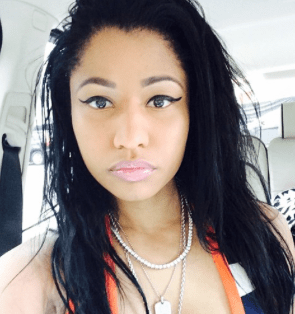 Rapper, Nicki Minaj is worth $75 million. 54. Eddie Murphy is worth $75 million. 55. Alicia Keys is worth $70 million. 56. Busta Rhymes is worth $65 million. 57. Swizz Beatz is worth $65 million. 58. Queen Latifah is worth $60 million. 59. Usain Bolt is worth $60 million. 60. T.I. is worth $60 million. 61. Russell Westbrook is worth $60 million. 62. Wiz Khalifa is worth $55 million. 63. Phylicia Rashad is worth $55 million. 64. Raven-Symons is worth $55 million. 65. Singer, The Weeknd has a net worth of $50 million. 66. Stephon Marbury is worth $45 million. 67. J. Prince is worth $45 million. 68. Darryl McDaniels is worth $45 million. 69. Andre 3000 is worth $45 million. 70. Soulja Boy is worth $45 million. 71. Actor, James Earl Jones is worth $45 million. 72. Whoopi Goldberg is worth $45 million. 73. Dave Chappelle is worth $42 million. 74. Nas is worth $40 million. 75. Forest Whitaker is worth $40 million. 76. Big Boi is worth $40 million. 77. Danny Glover is worth $40 million. 78. Ice T is worth $40 million. 79. Kyrie Irving is worth $35 million. 80. Rapper, Rick Ross is worth $35 million. 81. Actor, Don Cheadle is worth $35 million. 82. Common is worth $35 million. 83. T. Pain is worth $35 million. 84. Ludacris is worth $32 million. 85. Terrence Howard is worth $30 million. 86. Chris Brown is worth $30 million. 87. Darrelle Revis is worth $30 million. 88. Paul Millsap is worth $30 million. 89. Mike Conley, Jr. is worth $30 million. 90. Laurence Fishburne is worth $30 million. 91. Vanessa Williams is worth $28 million. 92. Colin Kaepernick is worth $25 million. 93. Eriq La Salle is worth $25 million. 94. Tyrese Gibson is worth $25 million. 95. The Game is worth $25 million. 96. 50 Cent is worth $20 million. 97. Angela Bassett is worth $20 million. 98. Jada Pinkett-Smith is worth $20 million. 99. Nick Cannon is worth $20 million. 100. Taraji P. Henson is worth $16 million. What do you think about the richest black celebrities on this list? Share your thoughts in the comment section below. Previous PostPrevious Is Young Dolph Dead? Next PostNext What Time Does Empire Come On?